I recently started to play the demo for the upcoming adventure game Primordia. I really like the art-style, the setting, themes and the characters (perhaps with the exception of a somewhat annoying companion). Despite this I am finding myself not being that engaged when playing it. 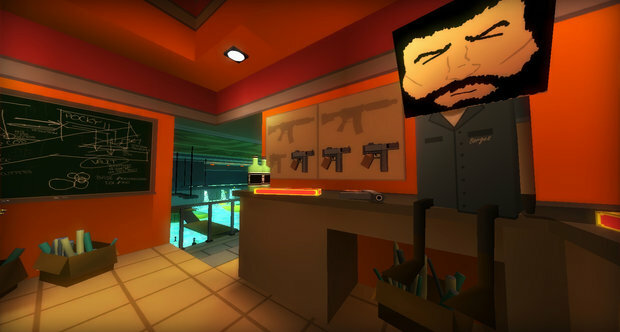 The main reason for this is that the game is in a very traditional point-and-click form, which means that it is mainly all about solving puzzles. Despite some good design and an in-game hint system, its gameplay back-bone is holding it back. Note: This does not mean that Primordia is bad game though, more on this in the end notes. At the same time we have currently been in the middle of going over some design thinking in our upcoming Super Secret Project. We have been trying to evolve the type of high level design we have used for our previous games and in that process encountered a few problems and come to a few intriguing insights. The problems I had with Primordia and the issues we have had with our own project are closely related and deal with the high level design used for games focusing on story-telling. This sort of design is what this post will be about. I will start by going over the basic problems, then cover more recent advancements and finally outline our own approach. Since the middle of the 90s or so, the image of adventure games as the kings of videogame storytelling has slowly dwindled. Instead they have given way to more action oriented titles and nowadays most of the major storytelling efforts lie in the action-adventure genre. What has happened is that the puzzle-centric design has been replaced by one where some sort of core mechanic makes up the bulk of the experience. Challenge-oriented games have a core design which I call "black box design". This means that the main goal for the player is to intuitively figure out the game's underlying systems and to beat them. When the focus is on a system of a game, it detracts attention from, or even directly contradicts, its fiction. As a result it diminishes the story aspects of the game. The main focus of games with storytelling should instead be on creating immersion or, more precisely put, a sense of presence. This is done by having a strong continuous input-out loop between the player and game. Before going into high level approaches that focus on immersion, the normal adventure design need to be discussed. This approach is pretty much how all of the classic adventure games are built. In essence, they are made up from a set of interconnected tasks that need to be completed. In order to get to A you need to B and C, C requires that D and E are done and so forth. The entire game basically becomes a big puzzle for the player to solve. This approach has its root in the very first adventure games ever made: Adventure. The game started out as a mapping of a cave system that the author, William Crowther, had been part of exploring. When making an interactive version of it, various puzzle elements, partly inspired by D & D, were added. Apparently the author did not find the virtual exploration of the caves engaging enough on its own. Something more was needed, and the puzzle elements was added to fill that void; a decision that would go on to influence the coming decades of adventure games. (I wonder how different history would be if Crowther had added some Dear Esther-like narrative instead!). The reason why this approach is so successful is because it makes it very easy to weave an interactive environment together with a story. The puzzles always give the player various tasks to do which provides motivation to go forward. More importantly it serves as a mean for the player to become part of the game's world. It makes it meaningful to converse with characters and it forces players to understand how the virtual world works. This comes as a cost though. Because the focus is on constantly providing riddles and quests for the player, the game must have a story that support this. There must be a reason for the player to question characters, ways to provide clear goals, plenty opportunity to set up obstacles and an environment that support clever puzzles. The result of this can be seen very clearly; most adventure game are either some variation on mystery/detective story or a classic, fairytale-like, grand quest one. On top of this comes the problem discussed in the paper, namely that the constant scrutinizing of the game's world eats away on the player's make-belief. It is simply not possible for players to let story-engagement be their main focus. If they fail to stay in a puzzle solving mindset the game will refuse them to advance. This often leads to the somewhat weird situation where playing the game with a guide is more enjoyable than playing it the proper unguided way. These problem have been known for quite a while, and in recent times some games have popped up that try to do things differently. I will now discuss the most widely used, and most successful, alternative. The basic premise for this approach is to craft the game like a normal non-interactive story. One then looks for parts were it is possible to insert some sort of player interaction and add these to the otherwise passive experience. (This is not how would go about creation such a game exactly, but it describes the type design quite nicely.) The first game I know that did this was Photopia, and it used it very successfully. It is widely regarded as a highly rewarding and emotional experience. The approach has been more popularized by Fahrenheit, which unfortunately got a much more negative response. More recently the approach gained a lot of success in Telltale's adaption of The Walking Dead and here this approach have really showed its advantage to a bigger audience. I think it is by far the best usage of a linear plot design done so far. To The Moon is another, and different, example that also uses this approach to great effect. What makes this approach so effective is that it is much better at keeping up the narrative momentum. When using the puzzle approach, it is highly likely that players will get stuck and taken out of the experience. With the linear plot approach this happen very rarely since the game is so focused. Right before it is time to give the player control, the protagonist can pretty much explicitly state what is needed to be done without it feeling out of place. What I find striking about this approach is the very strong scenes that the games let you take part in. Heavy has the basement capture and self-mutilation scene. Walking Dead has the staircase stand off and mercy killing scenes. By having a very strict and controlled path throughout the game, it is possible put the player inside very specific scenes that would have been hard to set up in other kind of games. Another big advantage is that it allows for a lot more diverse stories, as there is much less pressure on building everything into a puzzle structure. The approach has focus on the presence building qualities of the game medium instead of the competitive (black-box) aspects. Games like Photopia and Walking Dead clearly show how effective this is and there is probably a lot more that can be explored here. Of course all is not well with designing a game in this way. There are some areas that are really problematic. The main issue is that there is not really much interaction, especially when it comes to building a sense of presence. The basic premise of the approach is just this, so it is really an intrinsic fault and not that interesting to discuss. However, more subtle, and intriguing, problems arise when it comes to picking the actual parts where the interaction happen. Two main issues arise here. One is that it is very hard to have some sort of consistency in interaction, partly because activities can be so diverse and partly because they happen so rarely. Heavy Rain went the route of QTE's and the result is not that good. While there are some really good scenes, as a whole there are just too many arbitrary button presses. 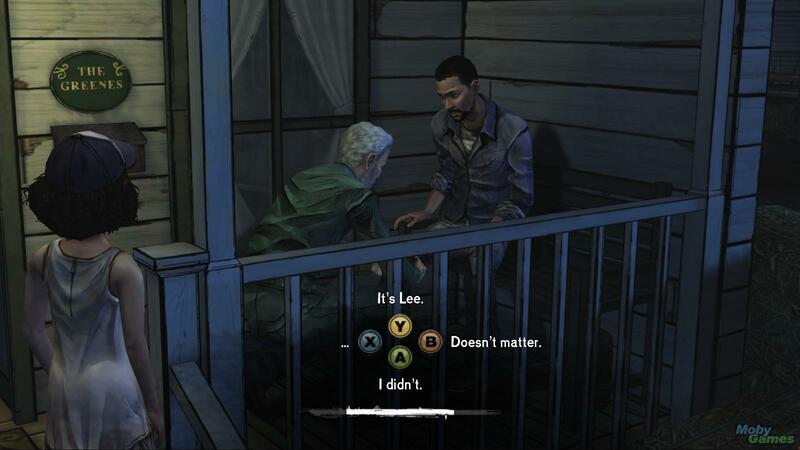 Walking Dead does it a lot better with having a few types of more intuitive input, such as aiming a cross-hair and mashing a single button. But the infrequent usage and not always clear functioning makes this problematic still. Dialog usually work better, but that interaction lacks a tight feedback loop instead. (However, an interesting way in which both games try and make this more immersive if by having a time-limit and banging on about how every choice has consequences). The other issue is that much of the sense of exploration evaporates. Whenever players are given a space to explore it is very confined and static. The cause of this is that the game always need to make sure that you can go back into "cut scene mode" after an interactive section is over. There is a bottleneck that needs to be reached with very specific requirements met. This means one has to be very careful about moving characters, changing the environment, and so on, in order for the next cut scene to feel coherent. There is also the problem of keeping the quality of characters when starting a less controlled section that lack the tightly polished look of a cut scene. This means only so much can be done with characters during these more open sequences. Finally, because you need to have some overall unity in the control scheme, any open sections can only have the simplest of input. Usually only movement is allowed and the rest handled by some sort of menu like system (basically like a point-and-click game). In the end interaction during these part come off as clunky and contrived. There is also a big problem when it comes to production. Simpler games like Photopia and To The Moon do not suffer so much from this, but in a game like Heavy Rain it is very evident. Because much of the game is not actively played but passively watched , the need for high quality cut scenes is a must. It needs to be made sure that the player can be engaged when the presence-feedback loop is weak or completely missing. This means tons of assets, which in turn requires the game to be planned far ahead. For instance, Heavy Rain had the complete script written before the production started. And then all motion capture and voice recording needed to be done before gameplay could be tried out. When it comes to making the actual game there is little room for change and iteration, and one basically has to stick with the script. This is a big disadvantage for interactive media as much of the real good stuff can come from unexpected directions. While linear plot design gives a better sense of flow in the narrative and a more coherently immersive experience, it still feels lacking. The main problem is that there is so much interactive down-time and great loss in the feeling of exploration. There needs to be some other way of doing things. For our upcoming Super Secret Project we wanted to try a different route and craft an experience where you play the whole time. The design that we have come up with is something I will refer to as the "Scene Approach". The basic idea is that you give the player an area, a scene, where they are free to roam. When appropriate players are able to leave and enter the next scene. Each scene should have a strong focus on some form of activity and/or theme and be self contained. Moving on to the next scene should be evident, either by a very simple interaction (e.g. opening a door), some form of activity (e.g. starting a generator) or by reaching some sort of state (e.g. waiting for a 2 minutes). The same underlying base mechanics should be used throughout the game and interactions should behave in a consistent manner. The wanted end result is to have an experience where the narrative flows throughout the game, but retains a tight interaction loop and a strong sense of agency. It is basically about taking the better interactive moments from the linear plot approach and stretching them out into scenes with globally coherent interaction. Is this really possible? The moments in the linear plot approach have been carefully set up and are normally extremely focused and contained. Is it really possible to recreate this in a more open environment and without any cut scenes? The scene approach cannot possibility recreate every situation found in a linear plot game, but if done correctly it should be possible to come pretty close. The first requirement is that the levels need to be designed in such a way that players are rewarded and driven towards behaving in certain ways. For instance, in early designs we tried to give tons of freedom in what players could do, but much of this freedom resulted in actions that went against the narrative. This is negative freedom. Instead we have tried to limit actions into "what makes sense for the protagonist to do" and do so without breaking any sort of consistency. This is positive freedom. The goal is then to eliminate the negative freedom and maximize the positive one, which is very simple to say but have proven hard to do in practice. Even with a neatly designed scene, all is not set. There is still the problem of communicating the goals. Early on I thought that it was just a matter of having an interesting enough environment and players would partake in the activities provided. The problem is that the larger the environments become the harder it is for players to figure out what is of interest and what is not. It is also very easy to loose ones sense of direction and become unsure of what to do next. This problem is even more severe now that we pulled back on the problem solving focus. Players are not in the mood for constantly looking for clues but are instead focused on soaking up the narrative and having an immersive experience. This is how we want them to be, and should thus not be something that hinders progress. To get around this, we have had to made sure that the larger a scene is, the more clear and obvious your end goal becomes. Also, any activity in a large area should always be optional unless it is closely related, both spatially and conceptually, to the object or state that makes the game progress to the next scene. Whenever the player is required to carry out some activity, the scope of a scene need to be decreased. The greater the freedom is in terms of possible actions, the less actions must be compulsory. The scenes themselves are not the only problem though. A perhaps even greater concern is how to connect them. At first I thought this would not be a big issue and that you could get away with pretty loose connections. Problems arise very quickly though, the main being that the experience simply stops making sense for the player. There must be some sort of logical connection and narrative flow between each scene. If not it becomes increasingly harder for player to figure out what they should be doing. This means either lowering the degrees of positive freedom or to have more set up for each scene. The first option gives something like Thirty Flights of Loving and the second is basically to use the linear plot approach. We do not want to do either, so having clear connections is a must. This results in an a sort of curious conclusion. One of our goals in storytelling is to rely as little as possible on plot in order to give an experience with a strong sense of agency. However, in order to provide as much positive freedom as possible, it is essential that the scenes are put together in a very tight and engaging fashion. In other words, on a scene level there is a great need for a strong plot in order to have as little plot as possible in the actual scenes. In turn this limits what kind of scenes that are possible. Now that the connections need to make sense, it is not possible to simply fill the game with scenes that lends themselves very well to our core mechanics. So far we have to been able to pull this off quite nicely, and we are slowly wrapping our minds around these concepts. This is not some final verdict on how to improve upon the adventure game genre. It just summarizes a bit on the design direction that we are taking for our next game. Nothing is final yet, so I am not sure how it all will turn out in the end, or how much of the above we will be actually using. This is at least our current thinking and what we are working on now. Also have say few ending words on adventure games in general. It might sound in the beginning like I loathe traditional click and point games, but this is not the case. I have enjoyed playing a lot of adventure games, and using puzzle approach for high-level game design is a very valid one. The best adventure games really take advantage of this, for instance Monkey Island and Broken Sword. These games are made in a way that makes the design really works and creates a really memorable and unique experience. 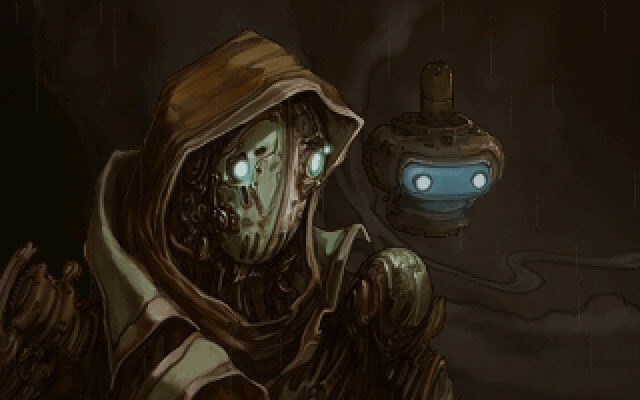 However, for some games, like Primordia, my main draw is not to have this kind of experience. In this game I am more interested in exploration and getting immersed in the world. The classic puzzle design does not do this properly and I feel as if my experience is not as good as it can be. Primordia is still a good game and it uses the setting nicely to create some interesting puzzles. But it feels like they could have taken a lot of the game's essence and packaged into a form that would have delivered it much better.